Happy new year! The start of January seems to always have an atmosphere of hopefulness as many of us have fresh outlooks on new and exciting beginnings. Being that we are a week and a half into January, we’ve heard all different types of new year’s resolutions. The most popular resolution is, of course, becoming healthier, while others fall to the tune of “traveling more”, and “learning a new skill”. 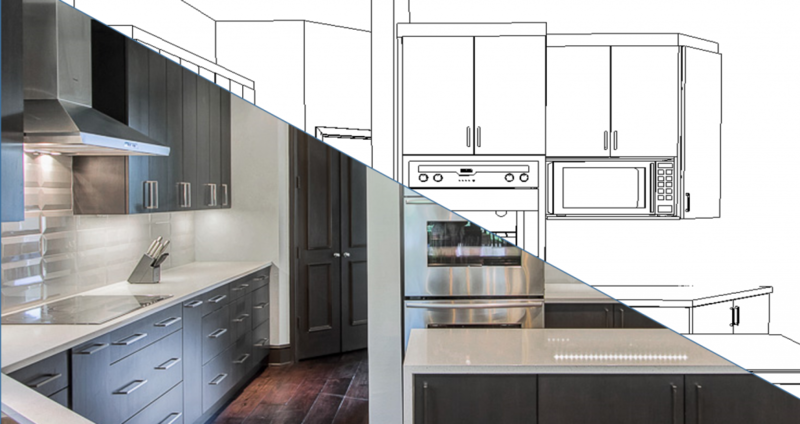 As there are many resolutions to choose from, our favorite has to be tackling a remodel project at home. 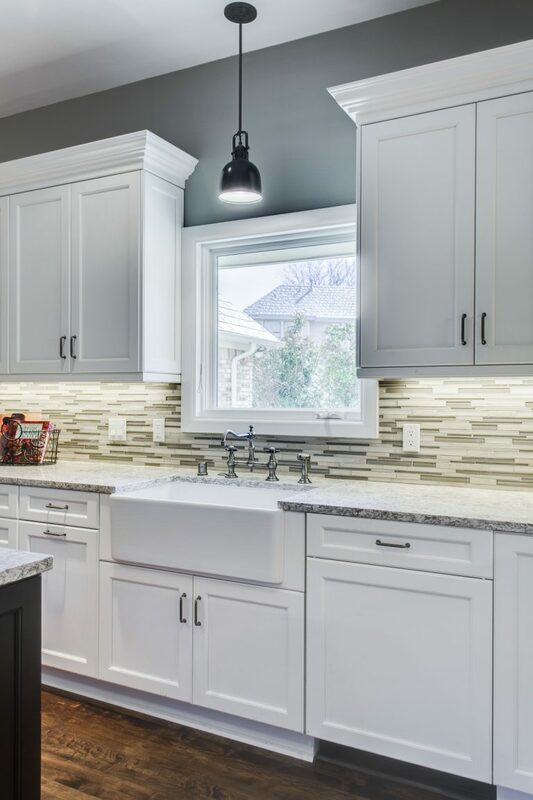 Whether it’s the kitchen, bathroom, laundry, mudroom, or any other space needing some TLC, new cabinetry tends to be the top priority when it comes to these projects. In actuality, the new year is a great time to start a new project, because then you get to enjoy it for the rest of the year! Here are some of our favorite cabinetry looks for 2019! Everyone loves white cabinetry. 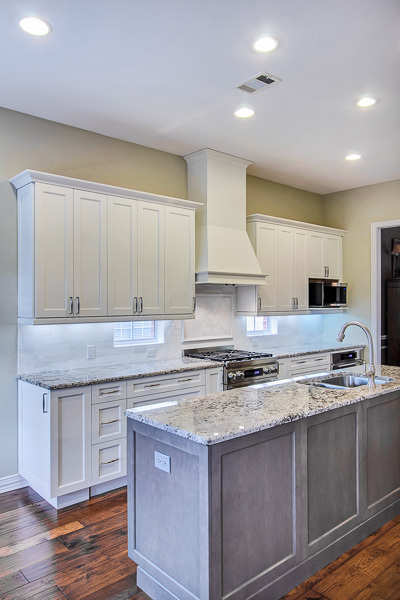 Year after year, we have clients often requesting white cabinetry. We understand why white is so popular. It’s timeless, it promotes a sense of cleanliness, and it also makes the room lighter and brighter. So if you’re unsure about what cabinetry color to choose, white is a safe bet! If your style tends to lean more modern, a slab door style is the way to go. 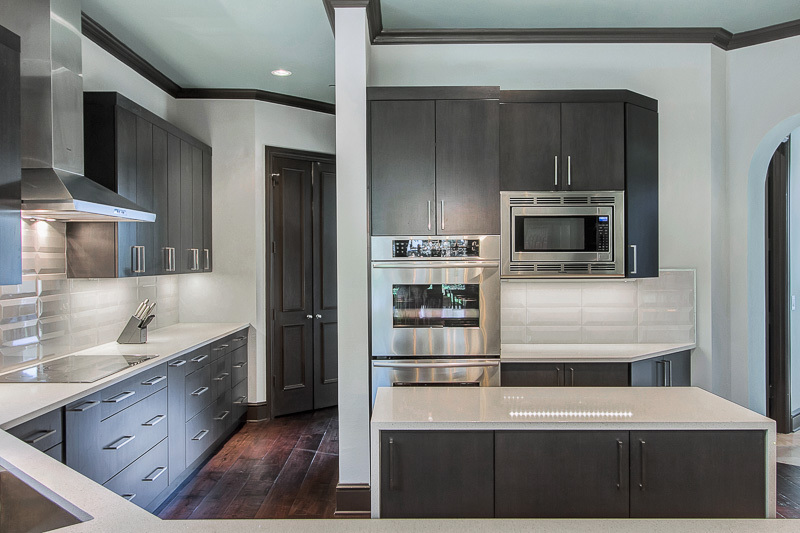 Having modern cabinetry gives your kitchen a minimalist and streamlined look. A modern kitchen can have many different options of color schemes ranging from light to dark (as shown here). Plus, with slab doors, you have many selections for materials such as woods, veneers, melamines, and more. A two-toned kitchen has been a popular trend for a long time. Two-toned simply means there are two different finishes of the cabinetry. Having two finishes instantly adds interest and a custom feel to a space. Plus, there are many ways to two-tone! First, you can have your perimeter cabinetry one color and your island another, second, the wall cabinets one color, and base cabinets another. We love that you can play with color to add interest to any space! Thanks for stopping by our blog, if you want to learn more about Cabinet Collection, check out our previous blog here.